The right people in the right place at the right time. When you are running a facilities or service management business, contractors and field engineers are your biggest asset - but let's be honest, they can also be your biggest liability because they work remotely. You need to be able to manage them effectively from one place to ensure that they are providing a quality service for your clients. Using Flobot means that booking a job for a contractor or field engineer is as simple as entering Who, Where, What and When. If it’s an existing customer, just call up their record and add a new job. Let your customer tell you when it's convenient for them and Flobot will present you with all of the schedules for field team members who are capable of doing that job, who cover that area, and who are available for work. It's so quick and easy to do, that you can book a slot while the customer is on the phone, and you don't even have to go back and and build a schedule for your engineers at the start of the week - it's already been done. Add notes to the record for your field team member such as information about collecting keys or switching off burglar alarms etc. 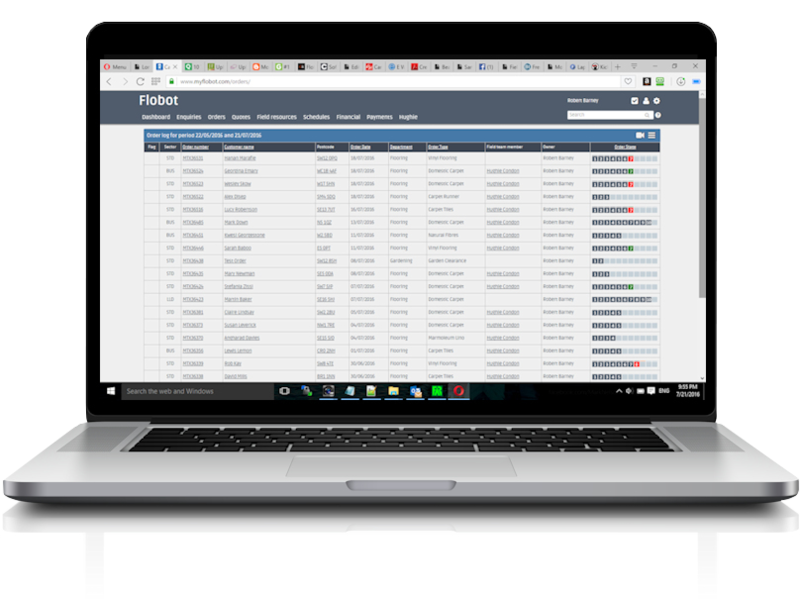 If your field team member has Flobot FieldNet, there's no price lists to remember as the rates and parts costs are all pulled into their app. Flobot has a separate web based portal for field team members with a unique username and password, allowing them to check their schedule from a PC or Smartphone, update their payment details and home address and check their payments. 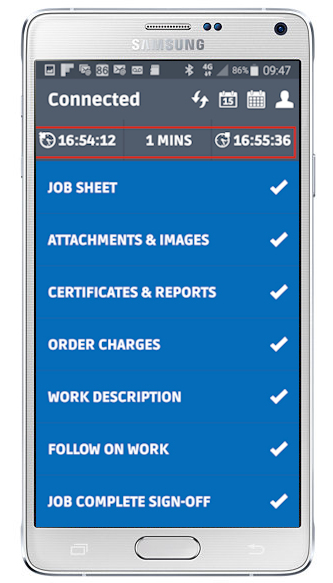 Sub contractors can even let you know their availability for work by populating the slots they'll cover. We know that businesses often employ a mix of sub contractors and directly employed field team members, and Flobot is flexible enough to cope with this two tier system. Nothing upsets a sub contractor more than payment queries or disputes. Flobot's portal allows you to keep them informed in real-time about the status of their payments, the status of all the jobs they've worked on, how much money has been allocated to them and deductions that you've made for CIS. That way they can see exactly what they will be paid at the end of the month. No surprises and no unhappy sub contractors.What's more, payments can be automatically allocated to sub contractors by FieldNet a when a job has been completed. You can also opt in to allow your field team members to participate in bonus schemes and give incentives for up selling.